We were contacted by a couple who had recently relocated from the Home Counties area to the South West of England for a change of lifestyle and to be near one of their parents. They had both secured employment in the city of Bristol and were currently in rented accommodation as they had not found anywhere suitable to buy at the time of their move. Prior to moving they had lived together in the Bedfordshire town of Dunstable. One of the clients also owned a property in nearby Northampton that she was renting out under a Buy-to-Let mortgage. As the Dunstable property they were living in was proving slow to sell they converted the mortgage on this property also to a Buy-to-Let – allowing them a steady income stream to pay for their rental in Bristol. Unexpectedly, the opportunity arose for them to purchase the property in Bristol they were living in. They had been in the property for just over a year and had begun to feel that the property was their home. As the present tenants in the property they were considered the favoured buyers. However, they needed to act quickly and provide the landlord with an acceptable offer before he listed the property for sale on the open market. With speed being of the essence they contacted our Specialist Lending team to help find a solution. Following a thorough fact find of their circumstances we determined that they required a short term bridging loan to pay off the remaining balance for the Dunstable and Northampton buy-to-let properties in order to shore up the finances required to buy their Bristol home, with the sales of the buy-to-lets effectively being their exit from the loan. 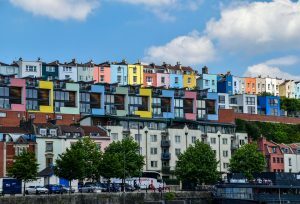 We arranged a market leading bridging finance solution for £814,800 over a 12 month period, which gave them ample time to sell the two BTL properties and exit the loan, and to also purchase their Bristol home effectively as ‘cash buyers’.